Movado has unveiled its Fall advertising campaign will be built around the slogan “Don’t Let Numbers Define You”, a pitch the company says embraces individuality and celebrates Movado’s iconic Museum dial. The campaign highlights the brand’s long-standing dedication to supporting cultural and visual arts that has included collaborations with artists including Andy Warhol in 1987. It is also a wry joke on the fact that Movado Museum watches famously have no numbers on their dials. 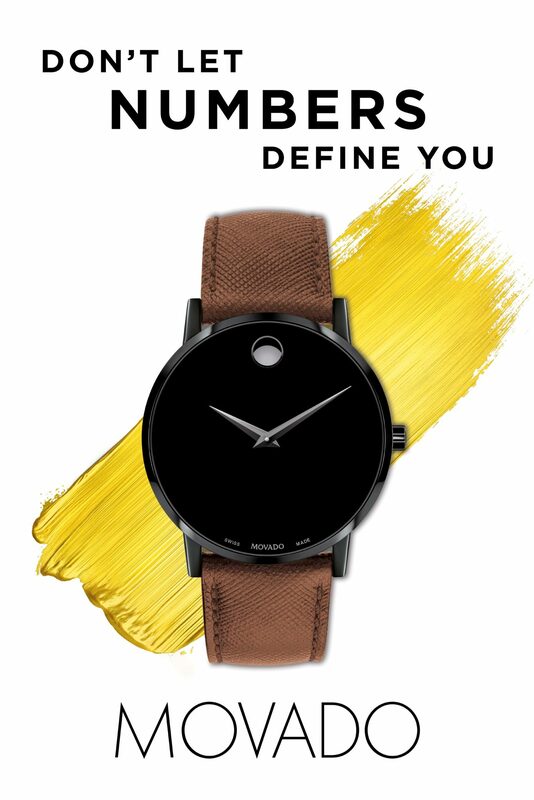 “The new brand campaign utilizes compelling graphics and pays tribute to the Movado consumers’ appreciation of iconic design that allows for self-expression thru the distinctive museum dial,” says Mary Leach, chief marketing officer at Movado Group. “We feel that our consumers are independent thinking individuals that have a unique point of view and a real appreciation for modern design. Movado is not ordinary but a rule-breaker, a timepiece that is truly an art form. The campaign speaks to this spirit and to the brand’s passion for the arts,” she adds.